Anime is any animation that originates in Japan. Anime encompasses a variety of styles and techniques, including traditionally drawn animation and newer computer animation techniques. Today, anime is popular within Japan, but it has also developed an international following in many countries, including the United States. The first known piece of anime dates from 1917. It is a short cartoon by an anonymous animator that tells a story with Japanese cultural associations, namely a comedy involving a samurai warrior. This dates anime as slightly younger than the animation traditions of Europe and America, which were probably influential to the first Japanese animators. In 1933, Kenzō Masaoka produced "Chikara to Onna no Yo no Naka," which was the first piece of anime to use synchronized sound, following Walt Disney's talkie "Steamboat Willie" by 4 years. It is difficult to define anime in terms of its style since it incorporates so many different ways of visualizing animated images. In its most traditional form, anime resembles American animation and grew in terms of realism throughout the 20th century. However, anime is also sometimes much more stylized and relies on overlapping patterns or the scale of objects rather than the western notions of perspective to define a three-dimensional space. In this way, anime is influenced by classical Japanese art such as watercolor or ink scroll paintings. As anime grew into a worldwide phenomenon during the twentieth century, traditional Japanese subject matter was gradually replaced by more broad storytelling that could be enjoyed by a wider audience. 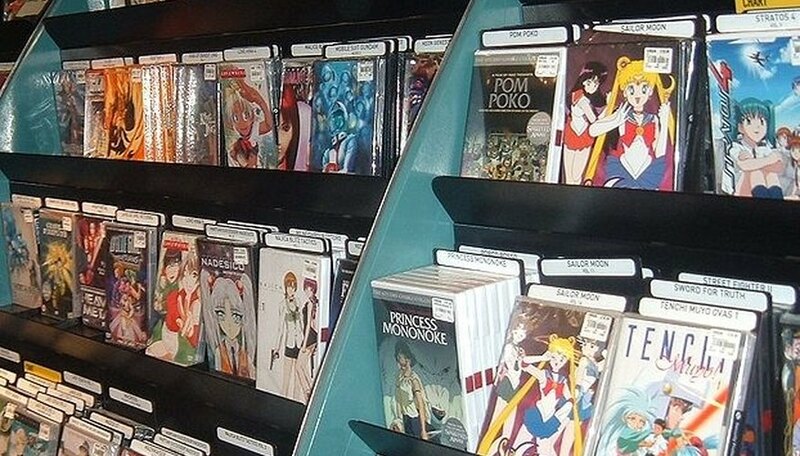 The advent of television in the 1950s gave anime a new outlet, and some of the most well known anime characters are actually from serialized television programs. Anime also grew in terms of realism, partly due to new techniques for reproducing images, especially by using computers to add complexity. The first Japanese animator with a work attributed to him is Oten Shimokawa, who made "Imokawa Mukuzo Genkanban no Maki" in 1917. In the late-1910s, Kitayama Seitaro founded his own animation studio in Japan and pioneered many techniques, including the reuse of background images. Seitaro's studio spawned an entire generation of anime practitioners that included Noburō Ōfuji, Murato Yosuji and Kimura Hakuzan. Today, many of the best-known modern Japanese animators are products of the Toei studio, which was founded in 1948. They include Go Nagai, Hayao Miyazaki and Yoichi Kotabe. One of the most important anime works was "Akira," which was released internationally in 1989. Distributed by Orion pictures and directed by Katsuhiro Otomo, "Akira" brought anime to the attention of the American public at large. In 1985, Studio Ghibli was founded by Hayao Miyazaki and Isao Takahata, who would themselves become known internationally. Today, Miyazaki is among the best-known animators around the world, famous for his films such as "My Neighbor Totoro," "Castle in the Sky," "Princess Mononoke" and "Ponyo." What Are the Different Periods of Greek Art?